When we talk about engaging in stewardship of the natural world, we might be tempted to think of nature as it exists today. But the one sure thing about nature is that it is always changing—adapting to its own forces as well as those contributed by human factors. For many, the defining motivation behind stewardship is the desire to act in the present to positively impact the future—thinking about how actions we take now can improve conditions in nature. As our natural resources respond—positively and negatively—to our actions, we must wonder what “nature” will look like to future generations who have never had the chance to see the Great Barrier Reef, an old-growth redwood forest, or a flock of snowy plovers. Will we be able to preserve critical species and habitats, and with what tools and resources? What role can we play individually to preserve something that is meaningful to us? 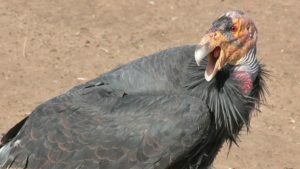 On May 17, the Museum will host the next installment of our bi-annual Rio Theatre Speaker Series with a panel discussing “Tales from the Brink: Recovering Endangered Species in California.” Moderated by California’s Secretary of Natural Resources John Laird, the presentation will feature status updates by three scientific experts on the California Condor, Southern Sea Otter and Salmonids—all currently listed under the Endangered Species Act. The panel will explore how everyone from policymakers, researchers and individual community scientists on the Central Coast has a part in pulling these populations back from the brink of extinction. Secretary Laird, a former Assemblymember and Santa Cruz mayor, will provide a larger context about the status of species protection in California. I hope you will join us for what promises to be an engaging, informative program. In addition to the Rio Theatre talk, I also hope you will visit us at the Museum for one or more of our other upcoming events, including our May 4 First Friday free science illustration demonstrations featuring exhibitors from The Art of Nature and our May 12 workshop “Seeds of Knowledge” highlighting strategies for habitat plant restoration and field sketching. As always, we look forward to seeing you at the Museum, and appreciate your support.